Stephen F. Austin University Press, 9781936205738, 90pp. 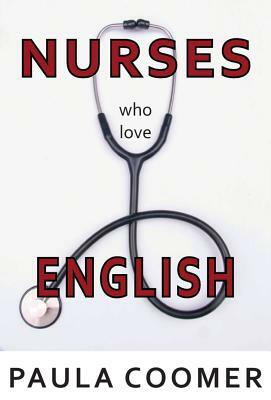 In Nurses Who Love English, Paula Marie Coomer chronicles the Sept. 11, 2001, attacks to the emergence of war and a life wobbling under the impact of world events: the loss of livelihood, a year of unemployment, record gasoline prices and mega-inflation, and a return to hospital nursing after having been a contracted university instructor, with its accompanying strain on a 50-year-old body. In the shadows, events that should have been celebrations become emotional struggles--the empty nest, children marrying and becoming parents themselves, finding late-life love. Lyrical, emotional, and, in the words of award-winning poet Paisley Rekdal, "at once carefully wrought and yet full of spontaneity . . . both tough-minded yet fragile," the poems in this collection are powerful, graceful, and reveal the conflicting perspectives of a poet of Midwest upbringing who hails from a Kentucky mountain heritage, independent-minded yet vulnerable, a woman struggling to survive a difficult time in history alone in the rural Intermountain West. Ms. Coomer has been a nominee twice for the Pushcart Prize, as well as writer-in-residence for Fishtrap, Oregon's advocacy program for writing and literature in the American West. Her books include the novel Dove Creek (2010), Summer of Government Cheese (2007, 2nd ed. 2011), Devil at the Crossroads (2006), and Road, a single-poem chapbook (2006). Dove Creek was a featured title at the 2011 Pacific Northwest Booksellers Association Fall Tradeshow. An instructor in the English Department at Washington State University, Ms. Coomer is also a long-time Visiting Scholar for the Idaho Commission on Libraries.